Cinematographer Matthew Irving has lensed an eclectic slate of more than thirty feature films, including the hit theatrical releases WAITRESS (starring Keri Russell and Nathan Fillion) and WAITING (starring Ryan Reynolds, Justin Long and Anna Faris), both of which cracked the box office Top Ten. Irving also shot the indie rave film GROOVE (starring Hamish Linklater), which was a Spirit Award nominee for Best Picture; and the thriller A BIT OF BAD LUCK (starring Cary Elwes), which was awarded “Best Cinematography” by the Los Angeles Movie Awards. Five of his features have premiered at the Sundance Film Festival, including the gritty western OUTLAWS AND ANGELS, which premiered at Sundance 2016 and was recognized by Variety as one of the “21 Best Films of the Festival”. Irving’s work has been distributed by Sony Classics, Miramax, Lionsgate, Fox Searchlight, Sony Pictures, 20th Century Fox and Warner Bros. After his first feature (ONE) garnered widespread critical acclaim at the 1998 Sundance Film Festival, Irving was named one of the “25 New Faces of Independent Film” by Filmmaker Magazine. Since then, he has earned accolades for his trademark style of “precise framing and camera movement” and his “acute attention to color, lighting, and texture”. In addition to his work on set, Irving has been a guest speaker on filmmaker panels and in classrooms around the country, including USC School of Cinematic Arts, Columbia College Hollywood, Los Angeles Film School, Vimeo Awards, Miami International Film Festival, Hollyshorts, and IFP New York. 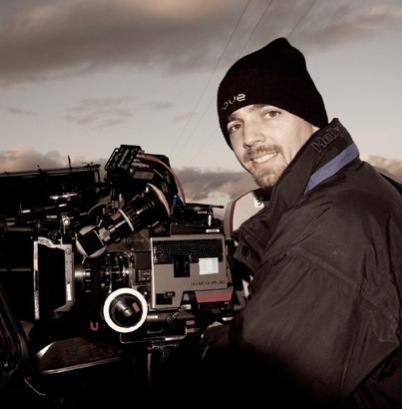 He has written articles for various publications, most notably ICG Magazine and MovieMaker Magazine, where his article “Running a Marathon at a Sprinter’s Pace” detailed what it takes to be a successful cinematographer. Matthew Irving grew up in Mountain Lakes, New Jersey, where he began shooting Super-8 movies with his brother at the age of nine. He migrated to California to attend Stanford University, where he took part in an internship at Lucasfilm’s legendary special effects facility Industrial Light and Magic. After graduating from Stanford with dual BA’s in English and Communications, Irving settled in Los Angeles and earned his MFA from the graduate program at the University of Southern California’s School of Cinema/Television. Irving currently resides in Los Angeles with his filmmaker wife. Matthew Irving is a proud member of the International Cinematographer’s Guild, IATSE Local 600.